APHC On Tap | Consumer Focused Plumbing And Heating Blog: Wet rooms: Are they right for me? Wet rooms: Are they right for me? Due to our modern busy lifestyles, more and more of us are choosing to take a quick shower in the morning rather than indulge in a long soak in the bath. Offering a bathroom option that is both stylish and practical, wet rooms are becoming increasingly popular in UK homes. However, while they can offer a range of benefits, there are also several things you should consider before making the decision to get a wet room installed yourself. As always, APHC On Tap is here to help! Read our wet room "need to know" to ensure this modern shower solution really is right for you. Originating from Scandinavia, wet rooms are open, tiled shower areas. Initially adopted in the UK as a bathing solution for those with mobility needs, today wet rooms are chosen by many as an accessible modern alternative to the traditional bathroom. What's involved in installing one? The cost of installing a wet room typically falls between £5000 and £10,000. It involves creating a gradient along the floor to channel water into the drain. Most commonly, a ready-made sloping shower former (like a large shower tray) is installed before being tiled over or other waterproof, non-slip flooring is installed. The room is completed with an all-over waterproofing, which involves priming the floor and lower walls around the shower before covering with a membrane. Once set, the room can be tiled. In order to keep the water contained in the case of the room filling with water, it may be worth raising the bathroom door threshold by about 5mm. This will prevent your house flooding in the event that you fall asleep with the shower running! Although most people choose a tiled wet room surface, you can also opt for sheet vinyl or Corian - a seamless, non-porous material that offers a very low-maintenance option. When choosing a tile, ensure you go for something that is non-porous, such as ceramic or porcelain, otherwise you'll just be creating extra work for yourself due to the requirement to regularly reseal them. Wet rooms can even be installed in conjunction with underfloor heating, allowing you to enjoy the luxury or warm tiles underfoot whilst also helping to dry the floor when not in use. Read more about underfloor heating on our blog here. As well as being a stylish and contemporary bathroom choice, a wet room could well increase the value of your home, especially where installed as a second bathroom. With no shower tray to worry about, wet rooms are much easier to clean than conventional showers and as they are resistant to water damage and leaks, require far less maintenance too. Their non-slip flooring and lack of shower trays also mean that they're a lot safer than traditional bathrooms, making them a great choice for those with disabilities and young children. What's more, the extra space you would gain from removing your old bathtub could make it feel like a whole new bathroom! 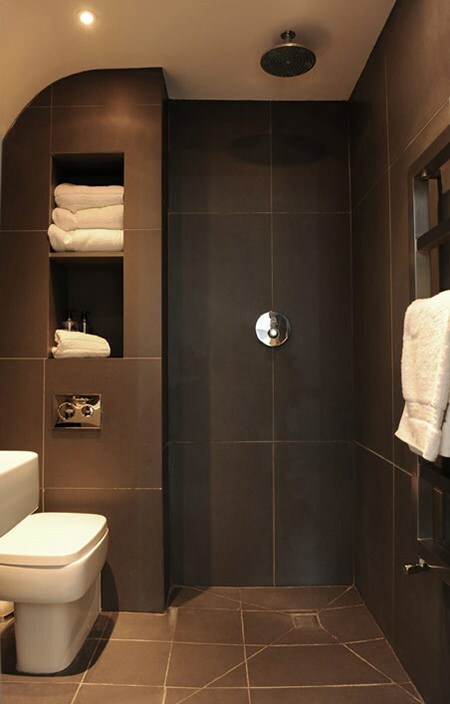 As wet rooms usually require tiling from floor to ceiling they can be an expensive option. Moreover, choosing porous stone tiles introduces the additional bother of having to reseal them every few months - failure to do so could leave you at risk of water damage or leaks. Finally, as wet rooms remove the need for a shower screen, they do leave your towels at risk of getting a soaking! Where not fitted by a plumbing professional, wet rooms can be prone to expensive leaks, so why run the risk? Click here to find a Quality Plumber in your local area via the Association of Plumbing and Heating Contractors. Thanks for the post, there's lots of really useful information here for anyone who's trying to decide which option is best for them. Wet rooms are becoming more popular as less people tend to take baths than they did in the past. While I do think that there are many advantages to a wet room, I would be a bit apprehensive to say that they will always add value to your house. Sometimes, if a house has no bath at all this can actually decrease the property's value. However, resale value should not be the only factor to consider when making alterations to what is your home. What's most important is what suits your lifestyle, and what will make you happy and comfortable while you live there.